“…twice as expensive ten times better.” ~M.B. “He knew all the players” ~R.J. “Having Cullen Burke on my side made a stressful situation a lot easier. ” ~A.L. Need legal support?for immediate help. When facing criminal charges, the most valuable defense tool you have is an aggressive criminal defense attorney. If you do not have an aggressive attorney that is completely dedicated to fighting your case for you, defending your rights, determined to exhaust all remedies, helping to protect your interests, you can put your freedom, future, and family at risk. 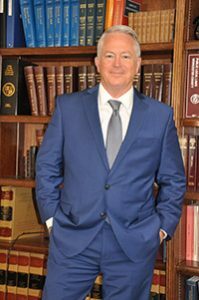 Engaging a skilled criminal defense attorney like top attorney Cullen Burke will significantly improve your chances of successfully fighting any criminal charges against you. A conviction for a criminal offense can have long-term and devastating effects on your future. No matter the charge you are up against, be it a violent felony crime or a first-time DUI offense, it’s important to seek guidance from an experienced criminal defense attorney interested in protecting your rights. Mr. Burke has over thirty years of experience aggressively defending people against a variety of criminal charges, including drug possession charges, drunk driving charges, juvenile crimes and violent crimes. He has a particular focus on aggressively protecting the rights of those charged with drunk driving offenses. It doesn’t mean that you’re a bad person just because you have been accused of a DUI, Mr. Burke will stand up for you and your rights. The outcome of your case and your driving privileges can be affected by the decisions you make following your drunk driving arrest; and Mr. Burke can help you limit the consequences of your arrest. Ocean City is a very popular tourist destination, and while you are enjoying yourself, you may find yourself charged with a traffic offense or a DUI. No matter if you are from the area or visiting from out of town, it’s critical that you find a local experienced DUI attorney to represent your case. As a local DUI lawyer, Cullen Burke will help you fight back against any charges you are facing. He diligently prepares every case that he handles from the very start. He researches and investigates all possible defense opportunities that are available to you, and works aggressively to take advantage of these options. Cullen Burke handles multiple DUI cases, so keep this in mind when thinking about hiring a DUI lawyer. Some of the DUI cases that he handles are first-time, second and third DUI offenses, aggravated DUI, extreme, multiple and underage DUI. In fact, Mr. Burke has represented individuals with as many as eight prior drunk driving offenses. It’s still possible to escape the tough penalties of a conviction or have your charges significantly reduced with the assistance of an aggressive criminal attorney, even if there is evidence against you, such as field sobriety tests and blood or breath tests. 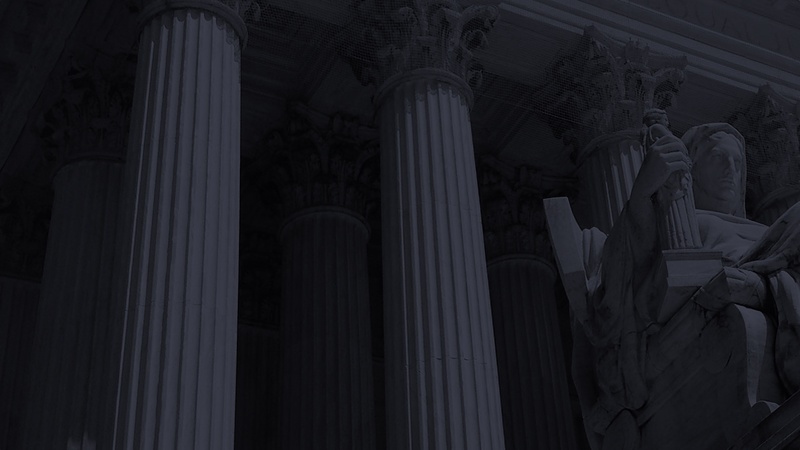 Cullen Burke has had numerous successful cases where the charged client has received favorable results. The legal support provided is personalized and high-powered, precisely the kind of aggressive legal support that you deserve. Drunk driving is a significant crime in all states, including Maryland. The law measures how able you are of operating a vehicle. By measuring your blood alcohol content, it determines if you are impaired and whether your BAC (blood alcohol content) is higher than the limit exceeded by the state, which is currently 0.7%. A DUI attorney will look at the scope of potential consequences for their client and will determine how the harm to their lives and future can be minimized. Often, a DUI lawyer will evaluate the situation the client is facing, and they’ll determine that it’s possible that the client will be proposed a probation period, or face smaller penalties. 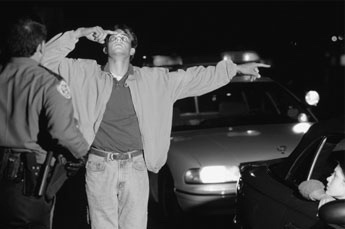 If this is your situation, you might wonder should you get an attorney for a DUI. While every charge is different, you need to make sure that you can live with the long-term consequences of your situation or the penalties you may be facing. The situation you are facing is a tough one, and the assistance of an experienced, aggressive criminal lawyer is highly recommended. What Can a Lawyer Do For a DUI Charge? The DUI laws are different in every state, and there are distinct circumstances in every DUI case. Therefore, the possible consequences of having a DUI charge depend on several factors. 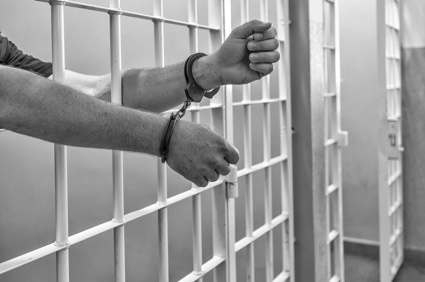 An aggressive criminal attorney specializing in DUIs can assist you in understanding the potential jail time or fines that you may be facing, in the instance your case ends up going to trial. An experienced DUI attorney will know the system inside out, which include options that you might not hear about from a public defender. DUI consequences can be vastly different in all states, and an experienced DUI attorney can explain to you how those results would apply in your particular case. For example, there are special laws for underage drivers charged with a DUI or more severe punishments are possible for clients arrested with a BAC limit that is over 0.7%. In some cases, a plea bargain or community service is a feasible way to dismiss or lower the charges, and a DUI lawyer will be able to tell you if this is the case. They will also describe the impact of the results that come with a first, second or third DUI offense. The question is one only you can answer for yourself. It will depend on your financial and personal situation, if you are able to represent yourself and are able to handle the complicated procedure on your own, and the state you live in. Often, you can get free lawyer’s advice over the phone, simplifying this decision for you. However, you need to be aware that the chances of getting your DUI dropped or the chances of getting your DUI dismissed are far greater when you have the advice and legal experience of a qualified and experienced DUI attorney. You should hire a DUI attorney if you have previously been charged with more than one DUI and have been accused with another, if your DUI charge was due to an accident, if there were any injuries or fatalities involved in your accident or if you need your license to continue working. You should never go to court without a lawyer. It’s highly important that you consider hiring a DUI attorney if this is your second arrest for a DUI charge, even if it was in another state. Even if you’re not a Maryland licensed driver this can have a severe impact. It’s a good idea to hire a DUI attorney if you are unfamiliar with the DUI laws of the state where you were arrested, or if you’re not familiar with your rights. It’s also a good idea if you are not sure about the possible outcome or consequences, or what you have to do in regards to your case. 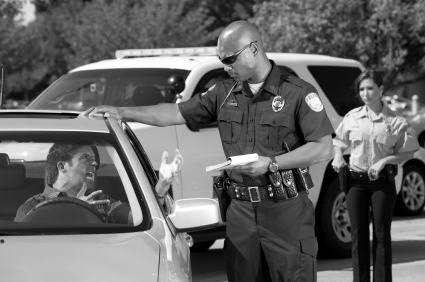 What is your experience in handling DUI charges? What is your track record of winning DUI and traffic offense cases? How will this affect my ability to drive? If you have been charged with a traffic offense, DUI or any other criminal charge, it’s vital that you start to prepare your defense as quickly as possible. Contact Cullen Burke today! 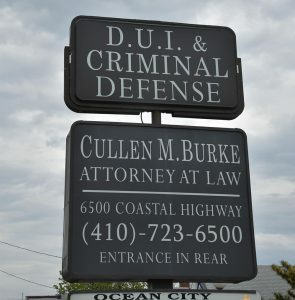 Ocean City, Maryland region Criminal Defense lawyer Cullen Burke has 28 years of experience in criminal law. Mr. Burke has successfully represented people accused of crimes ranging from disturbing the peace to Drunk Driving and Serious Traffic Offenses, as well as various types of drug charges. Criminal Defense lawyer Cullen Burke has an extremely good track record when it comes to defending the rights of people accused of crimes. Attorney Burke knows that every case is different, and every person accused of a crime needs and deserves personal attention from an experienced criminal defense lawyer. Experienced Criminal Defense Lawyer Cullen Burke offers competence and expertise in the service of his clients. 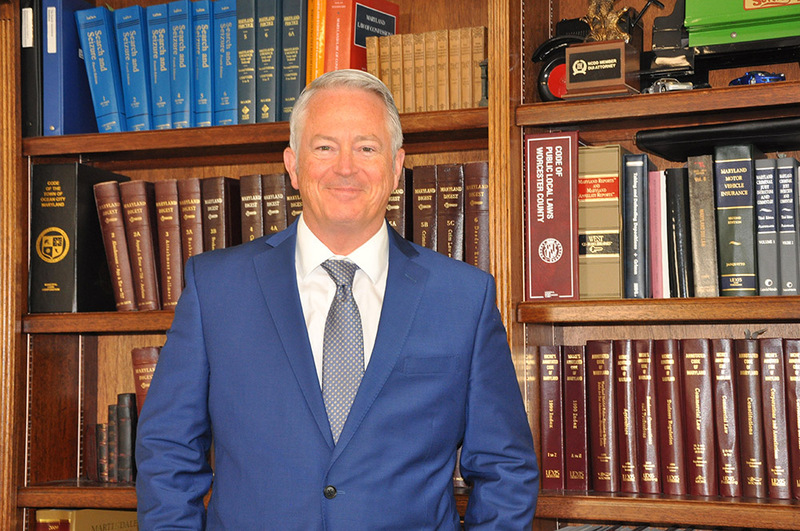 Attorney Burke has a reputation as a skilled defense lawyer who provides experienced and aggressive criminal defense services to his clients. Whether you have been charged with drunk driving, a serious traffic offense, or accused of another serious crime in the Ocean City, Maryland region, you should invest in your future by seeking the best in experienced criminal defense. Do not lose any more of your precious time or your precious rights! Contact Criminal Defense Lawyer, Cullen Burke for more information or for a meeting about your case. Whether you have been charged with drunk driving, a serious traffic offense, or accused of another serious crime in the Ocean City, Maryland region, you should invest in your future by seeking the best in experienced criminal defense. Do not lose any more of your precious time or your precious rights! Contact Criminal Defense Lawyer, Cullen Burke for more information or for a meeting about your case. If I am arrested or charged with a crime, do I need a lawyer? Since I do need a lawyer, what type of lawyer should I hire? Since I want to hire a lawyer, should I hire one from the "big city?" Or should I hire one from the jurisdiction where I am charged? What good does it do a person to hire the "Best Lawyer in Ocean City," or the "Best Lawyer in Worcester County," or the "Best Lawyer in Maryland?"